Now 35 years old, Ryan has carved out a 15-year career as an independent artist in Canada’s vibrant music scene. He’s always been a genre fence sitter, hanging out on the edges of country just enough to say he isn’t; Ryan is both a whisper and a scream. 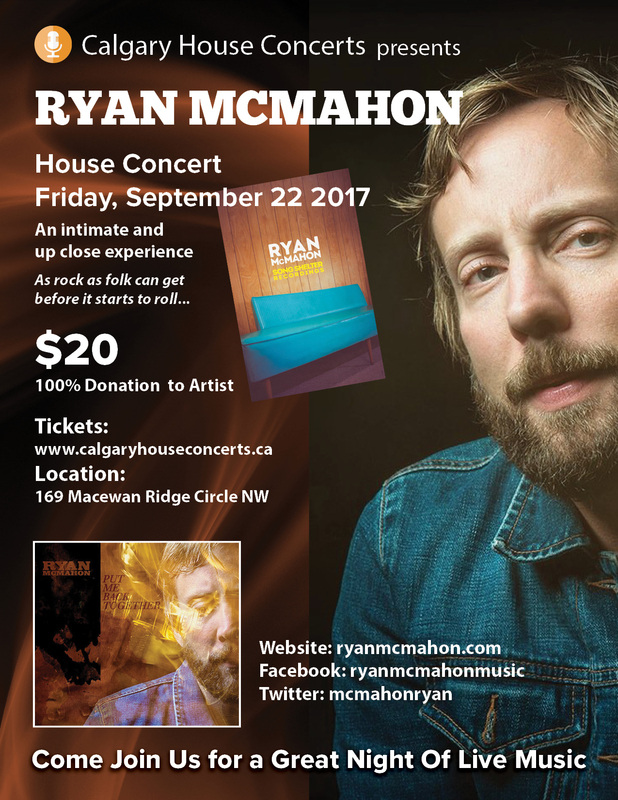 Over the course of his career, Ryan has toured Canada over 25 times, released three full-length albums, and seen his music licensed nationally and abroad. He has shared the stage with an extremely wide-variety of artists, ranging from Lisa Loeb & Carole Pope to Nickelback & Mother Mother. He’s had the honor of participating in JunoFest, the Western Canadian Music Awards, Canadian Music Week, Music West, and various other notable Canadian Music Festivals, including 3 wins (Male Vocalist, Record & Artist of the Year) out of 5 nominations at the Vancouver Island Music Awards in 2012. McMahon has played some of the best venues the country has to offer, including the Horseshoe Tavern in Toronto, the Ironwood Stage in Calgary, The Commodore Ballroom in Vancouver & Nanaimo’s Port Theatre. In 2012, Ryan co-founded ‘The Lion the Bear the Fox,’ with song-writing colleagues Cory Woodward & Christopher Arruda, and the band was immediately named as one of the Top 20 Finalists for the 2013 Peak Performance Project in Vancouver. The opportunity gave Ryan & his band mates the chance to shine light towards their charity, the BandWagon Project (mobile recording studios that visit various lower mainland care facilities), which was inspired by Megan McNeil & The Will To Survive Campaign that Ryan was deeply involved in helping take shape. In April of 2014, Showtime’s original series, “Californication” featured the single “I’ll Be Damned,” which will be included as a bonus track on the upcoming full-length album titled “Put Me Back Together,” produced by LBF cohort Christopher Arruda. That album is due in April, 2015.